The Messiah of wildlife in the guise of photographer -Laurent Baheux, is making waves and not without reason. Laurent Baheux is a French self-taught photographer. Alongside his work as a journalist sport , he ventured into the heart of Savannah since 2002 and carries photographs of animals in black and white. His photographs are on the border between artistic and documentary as they are close to animals. It exudes a feeling of intimacy, giving us the impression to read emotions in the eyes of a lion, a cheetah or a leopard. When the United Nations appointed Laurent Baheux as the Goodwill Ambassador of the United Nations Environment Programme (UNEP) to mark forty years of the International Convention on the species to extinction during the WILD & PRECIOUS exhibition in collaboration with GoodPlanet in 2013, people immediately started doing a Wikipedia search on his profile. 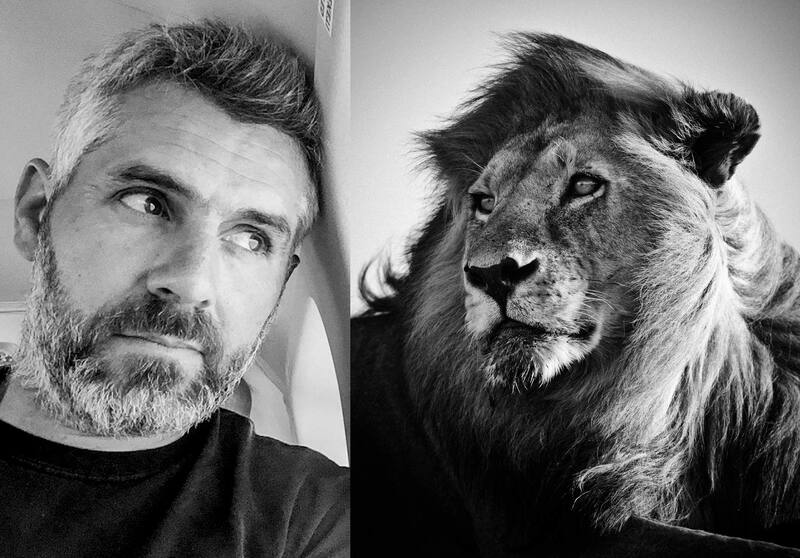 Laurent Baheux, an unassuming French man born in Poitiers in 1970 who found himself attracted to editing and journalism, never thought he was deserving of the spotlight until his visit to Tanzania in 2002 which triggered the desire in him to bridge the gap that separates humans from wildlife. While other photographers are drawn to lucrative urban setting of modern life, Baheux made wildlife his muse, driven by the need to give expression to the unique personalities of the untameable animals of Africa. It’s no wonder then that his work often oscillates between the opposing yet complementary poles of beauty and roughness, strength and fragility. 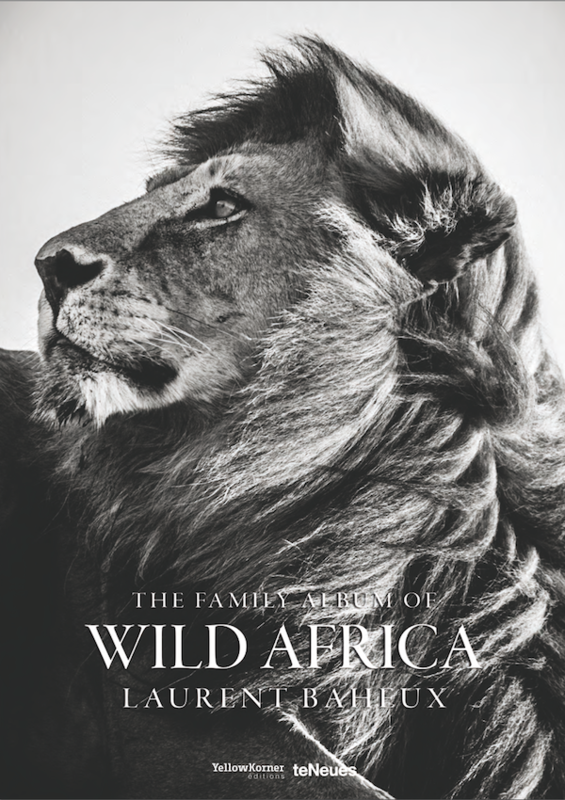 For the self taught photographer, making the animals of Africa his principal subject was all about trying to get back to his roots and evoking the animal instinct within him which made each effervescent moment appear exciting, vibrant, wild and evolving. Photography ceased to be the passion for art and transformed into the thrill of capturing the perfect art in the works of Baheux. Laurent Baheux in his fifteen years long photography career has become quite accustomed to intrusive questions such as why he prefers clicking his wildlife pictures in Africa, (“a land of light and contrast,” as he calls it) in monochrome but with every passing year, he has become more adept at handling such queries. Baheux considers the black and white frame to be the apt background for his photographs as it is the only one which can render a timeless quality to the ever changing nature scenery, the magnificence, the emotions and the attitude of the wild animals. When questioned about his photography techniques, Baheux stresses that he likes to go with the flow. He doesn’t distinguish between taking portraits of people and clicking photographs of the magnificent beasts who crosses his path on a day to day basis. He acknowledges that pre visualisation and following the traditional photographic procedures is not his strong suit. This way he can retain his sense of wonder every time he encounters something worthwhile on his tours with the local guide. Through his travels to Zimbabwe, Namibia, Tanzania, Kenya, South Africa and Botswana, his tendency to depend on his gut instinct has remained constant. He never hurries any of his shots and rather dedicates a period of four weeks to each of his locations so that he can leave behind the mundane and capture the extraordinary. He wants to point out to the world the vividness, freedom, with which the animals go about their lives and the richness they contribute to the biodiversity of the planet. They might be under threat due to deforestation, destruction of natural habitats and poaching, but Baheux’s authentic quest to show the world that the animals are as humane as we are, with a family and their own unique personalities is striking a chord with wildlife preservers as well as the common man. Once you have access to the enigmatic lens of Laurent Baheux, it’s not hard to see the animals for living, breathing creatures deserving of a shot at life, just as we are. Make no mistake: Laurent Baheux’s life might consist of travelling to some of the wildest albeit exotic patches of our planet but he feels more at home amidst the strange animals than in the human civilisation, whose rules he finds too complex and difficult to abide by. Laurent Baheux will be a name to reckon with in the coming years: A man with a purpose who aims to change the world, one picture at a time.